48 PAGE BROCHURE FOR THE 03 UK RANGE. VERY GOOD CONDITION. I am UNABLE to accept fund transfers direct to my Bank Account. If this is required it will be necessary to send your parcel "signed for" which will be at extra cost. BMW PART NUMBER 01 79 0 021 120. 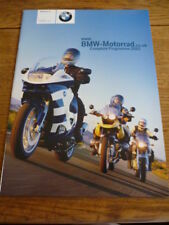 BMW R 850 R Classic (Europe) 2003-2006 Manuals - Haynes (Each). Manual Haynes for 2003 BMW R 1100 S ABS Haynes Manual 3466 BMW R850 / R1100 TWINS 93-06. BMW PART NUMBER 01 79 0 148 377. 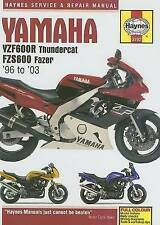 BMW F650CS MOTORCYCLE Sales Brochure From 2003 PUBLICATION No: 311 205 521 11/03. FORMAT: Stapled Brochure, 18 Pages. LANGUAGES: English. ILLUSTRATIONS: Colour Photographs. SIZE APPROX: 11 ½”x 9”. CONDITION: Overall condition is VERY GOOD. Handling/storage marks & minor creases appear throughout with scuffs/bumps to the corners/edges. Please see attached photographs and if you require any further details we will be only too happy to assist. Another item from POOKS MOTOR BOOKS HOW TO PAY We Accept PAYPAL, UK STERLING CHEQUES, BANK TRANSFERS (GBP Only) and ALL MAJOR CREDIT/DEBIT CARDS. To pay with a card please select the PayPal option & click on the “pay with a card” link on the PayPal login page or give us a call. 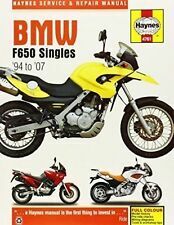 Manual Haynes for 2003 BMW F 650 GS ABS Haynes Manual 4761 BMW F650. 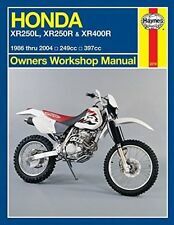 Manual Haynes for 2003 BMW F 650 GS Dakar Haynes Manual 4761 BMW F650. Manual Haynes for 2003 BMW R 850 R Classic Haynes Manual 3466 BMW R850 / R1100 TWINS 93-06. Manual Haynes for 2003 BMW R 1150 R Haynes Manual 3466 BMW R850 / R1100 TWINS 93-06. 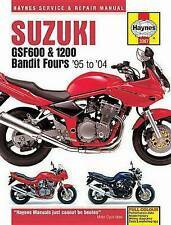 Manual Haynes for 2003 BMW F 650 GS Haynes Manual 4761 BMW F650. 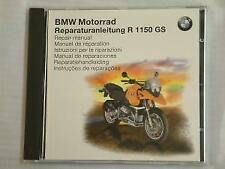 Manual Haynes for 2003 BMW R 1150 GS Haynes Manual 3466 BMW R850 / R1100 TWINS 93-06. Manual Haynes for 2003 BMW F 650 CS Haynes Manual 4761 BMW F650. Manual Haynes for 2003 BMW R 1100 GS Haynes Manual 3466 BMW R850 / R1100 TWINS 93-06. 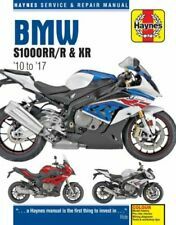 Manual Haynes for 2003 BMW R 1150 RS Haynes Manual 3466 BMW R850 / R1100 TWINS 93-06. Self help for the Electrically Challenged BMW Twins 1970-1995 by Rick Jones. Superb guide to understand the electrical charging system on BMW twins with clear colour wiring diagrams and colour photographs. 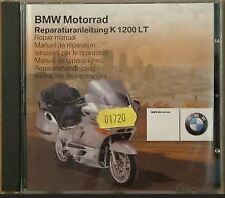 2003-2004 BMW K1200GT MOTORCYCLE GENUINE ORIGINAL FACTORY OWNER'S RIDER'S MANUAL IN GREAT CONDITION. THIS OWNER'S MANUAL COVERS 2003-2004 BMW K1200GT MOTORCYCLE MODELS. 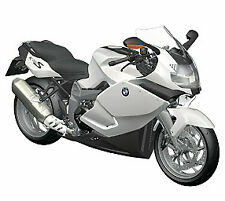 Type 2003-2004 BMW K1200GT MOTORCYCLE. 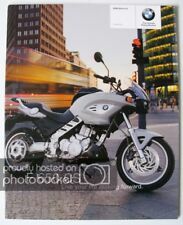 2003 BMW R1150R ROCKSTER EDITION 80 MOTORCYCLE GENUINE ORIGINAL FACTORY BROCHURE IN GREAT CONDITION. INCLUDES FEATURES AND SPECIFICATIONS FOR 2003 BMW R1150R ROCKSTER EDITION 80 MOTORCYCLE MODELS, WITH1130cc OPPOSED-TWIN CYLINDER ENGINES.